An early photograph of Meeting Street. 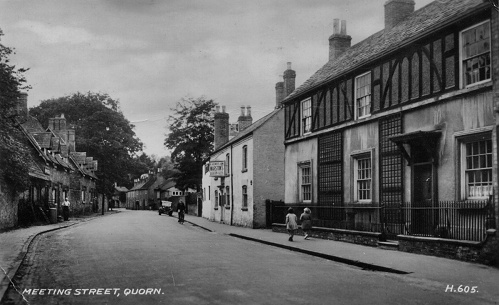 The pub (2nd building on the right) is The Blachsmith's Arms - still a pub today. The bulding on the left is The Old Forge. 27 Meeting Street is the first building on the right - the cladding has since been taken off to reveal stone and brickwork.